Sailor Moon Crystal is a 2014 original net animation adaptation of the shōjo manga series Sailor Moon written and illustrated by Naoko Takeuchi. 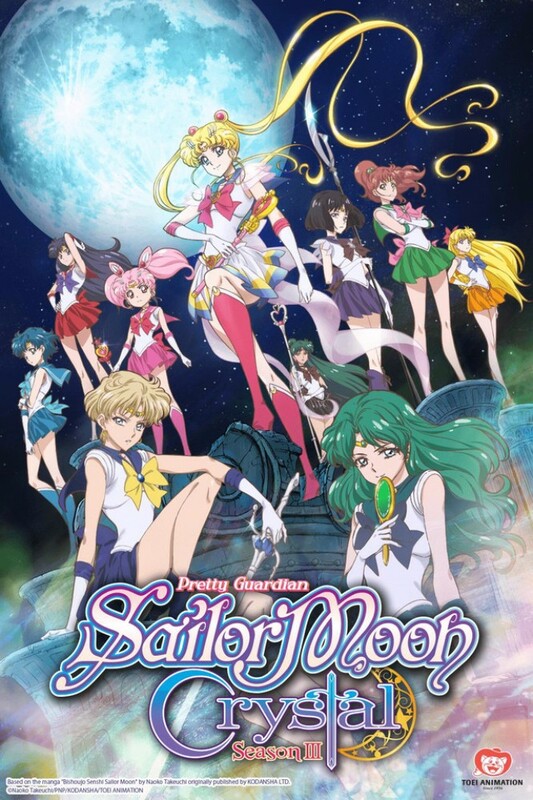 It focuses on Usagi Tsukino, a young girl who obtains the power to become the sailor moon and other Sailor Guardians join her in search of Princess Serenity and the Silver Crystal. The closest font we can find for the text “Sailor Moon” in the poster is Wish MF from Richard William Mueller, and the “Crystal” part is very likely based on the font Oh You Klid by Nick Curtis. For the text “Pretty Guardian”, it is an italicized version of Hardly Worth It by Nick Curtis. If you do not want to download and install the font but just like to create simple text or logos using Sailor Moon Crystal Font, just use the text generator below. The following tool will convert your entered text into images using Sailor Moon Crystal Font, and then you can right-click on the image to save it or click on the "EMBED" button to get links to embed images on the web.